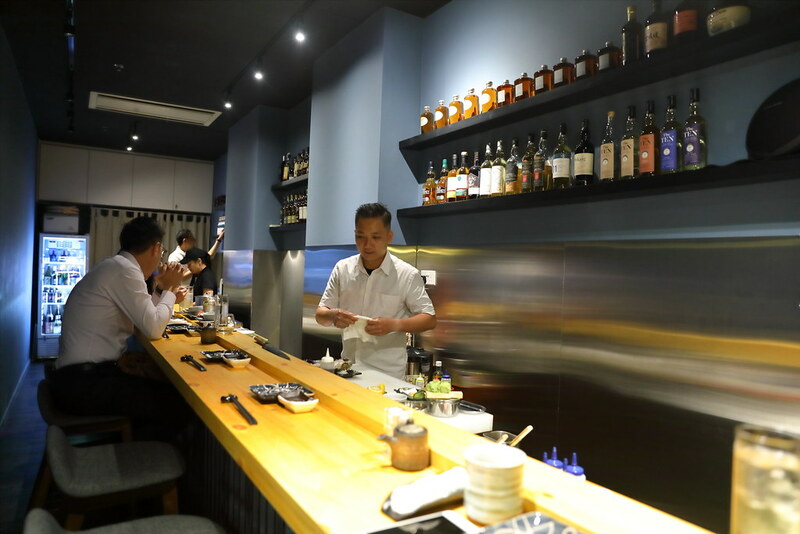 Southpaw Bar & Sushi in Cavan Road, Lavender is an intimate 12 seater California-styled sushi bar offering unorthodox pairing of Whiskey with Japanese food. 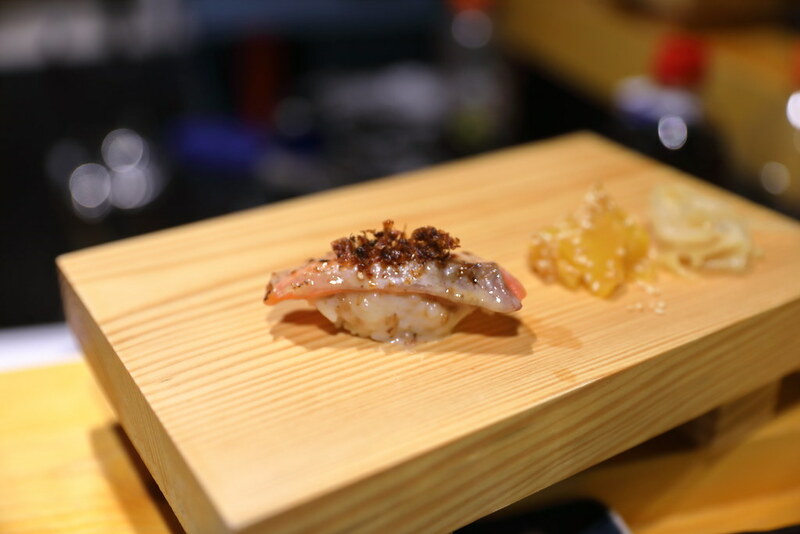 Their omakase set here starts from $68 for 5 courses. 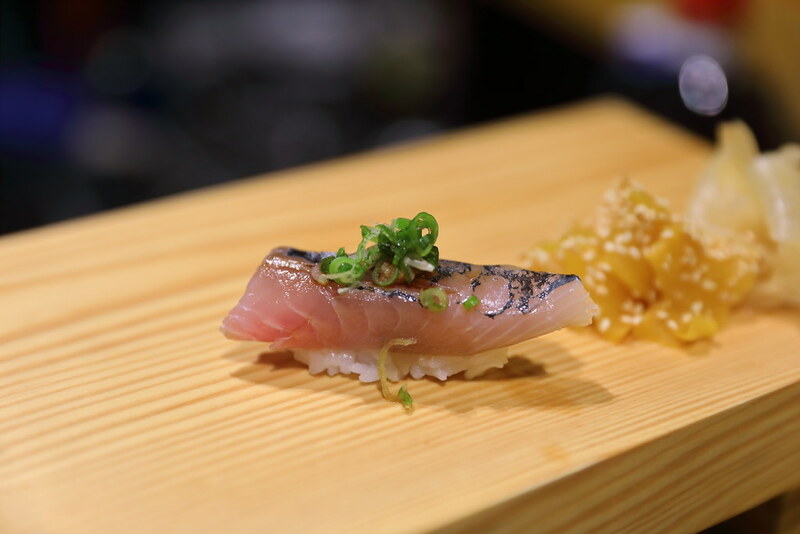 The sushi bar is opened by Roy Ng and Chef Kenny. It is home coming for Roy Ng who has been working in Indonesia and Thailand. He is the owner and whiskey sommelier at Southpaw. 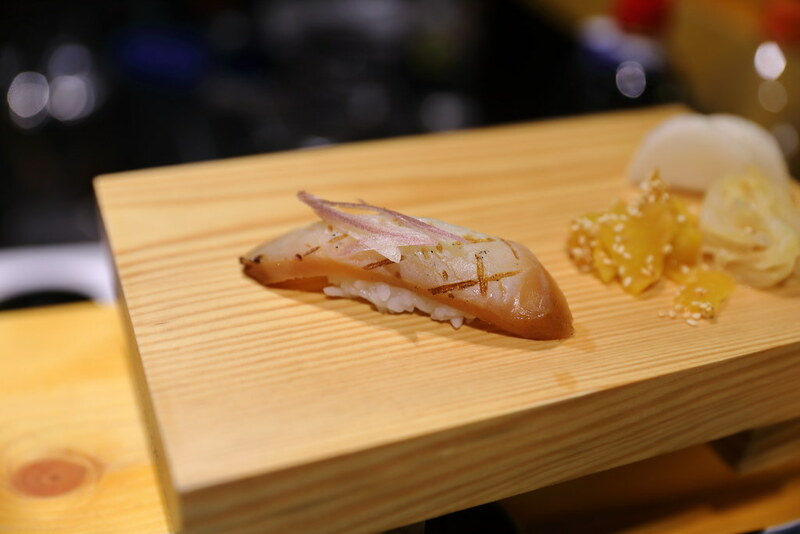 The kitchen is helmed by Chef Kenny who has 17 years of experience working at Nogawa and Tatsuya. 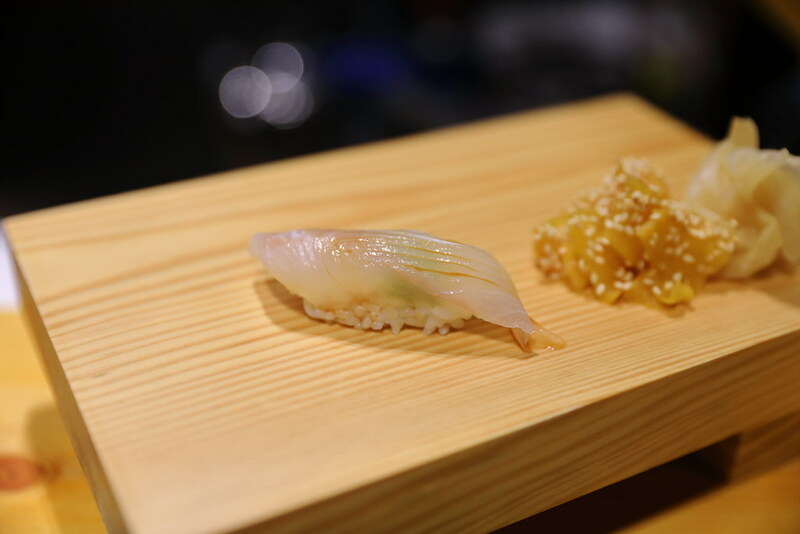 Together with my two dining companions, we had the 7 course Omakase ($138). 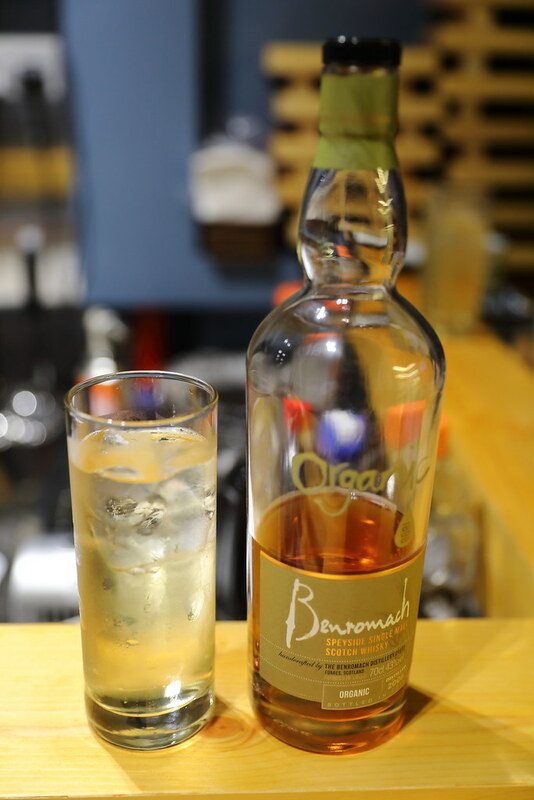 Before starting on our dinner, Roy made us his interpretation of a high ball using organic whiskey. Our first course is a trio of appetizer. 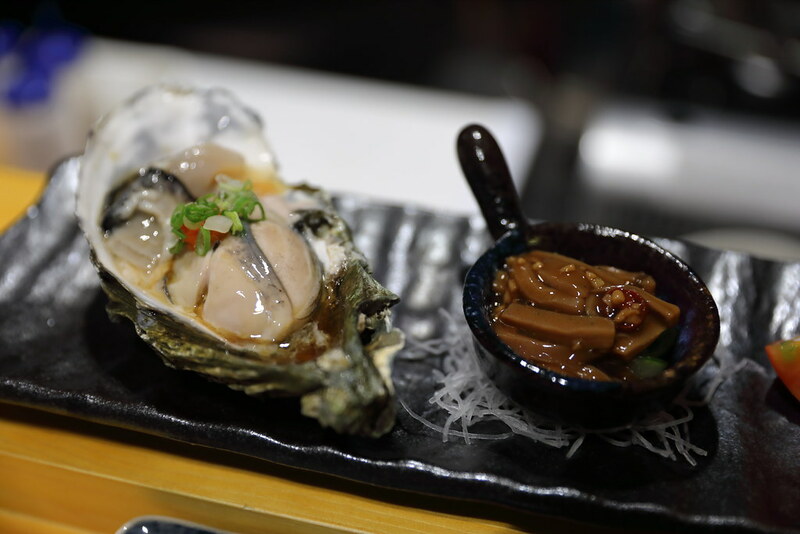 On the plate, we have a huge Fresh Oyster, marinated Squid and fresh Japanese Tomatoes. The oyster was huge and creamy, with a burst of flavours from the sea. What is even more interesting is Roy gave us a shot of whiskey and asked us to pour into the oyster shell. We are suppose to drink from the shelf and appreciate the usual pairing of whiskey and oyster. 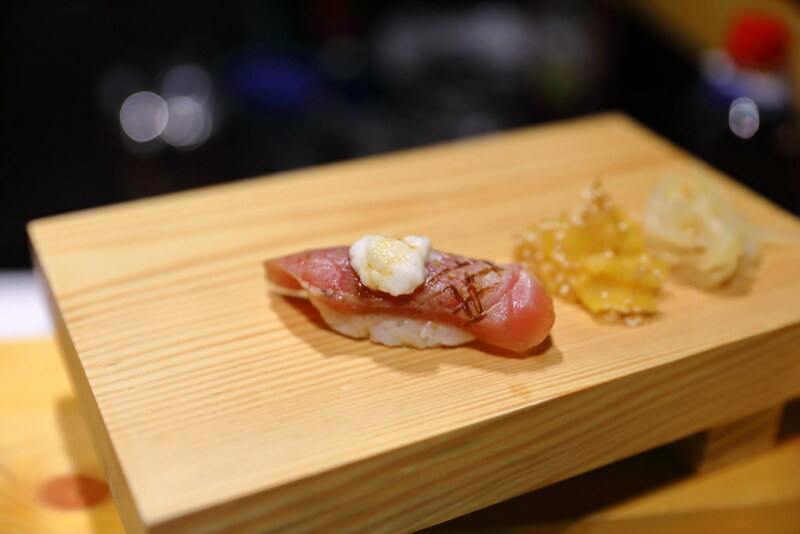 Next we have a plate of fresh Sashimi considers of 5 different ingredients. As Southpaw operates by reservation only, they only imported what is needed for the today in small quantity. 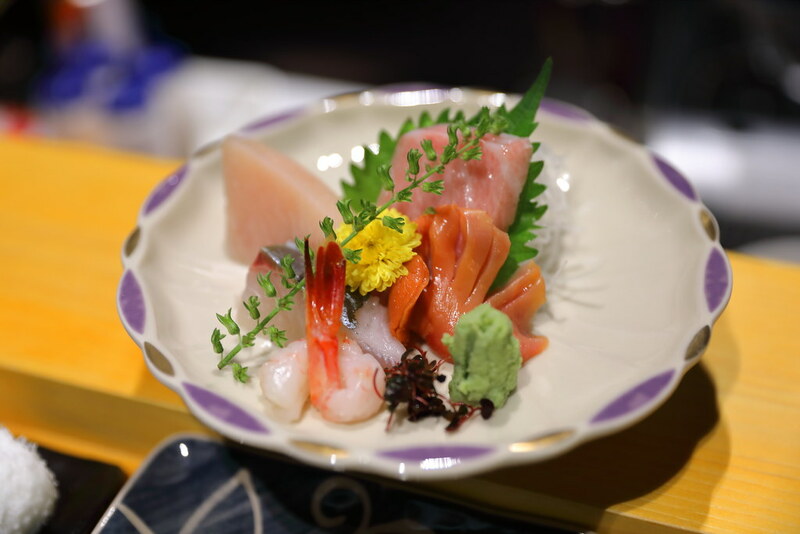 Hence we may expect fresh quality sashimi to be dish out for each diner. Our next course is an Assortment of 8 different Sushi. 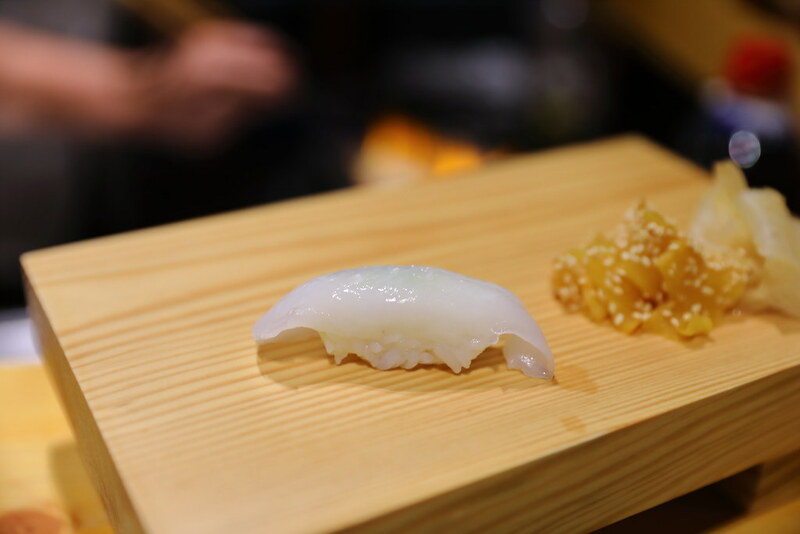 Make and serve one at a time, we had the Flounder Fish Sushi, Amberjack Sushi, Squid Sushi, Tuna Sushi, White Tuna Sushi,Salmon Sushi, Botan Ebi Sushi, Uni Sushi and Scallop with Foie Gras Sushi. 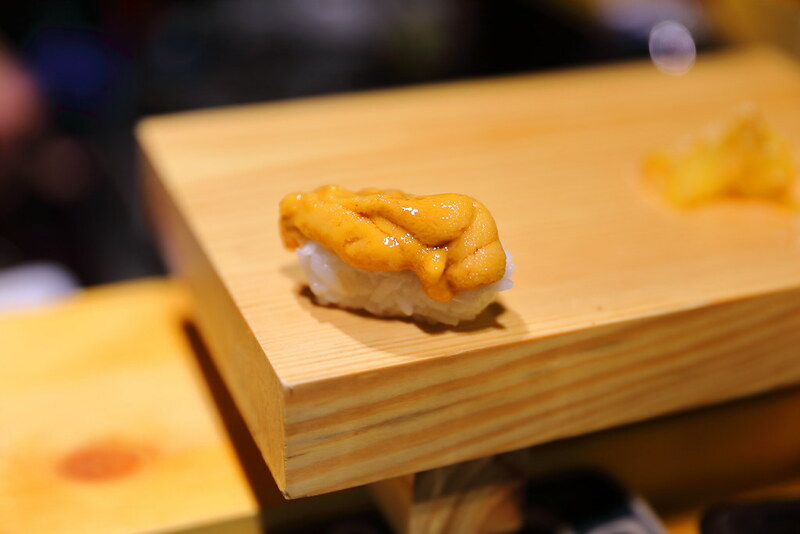 For the $138 Omakase menu, you will get uni, botan ebi and foie gras sushi among the assortment of sushi. 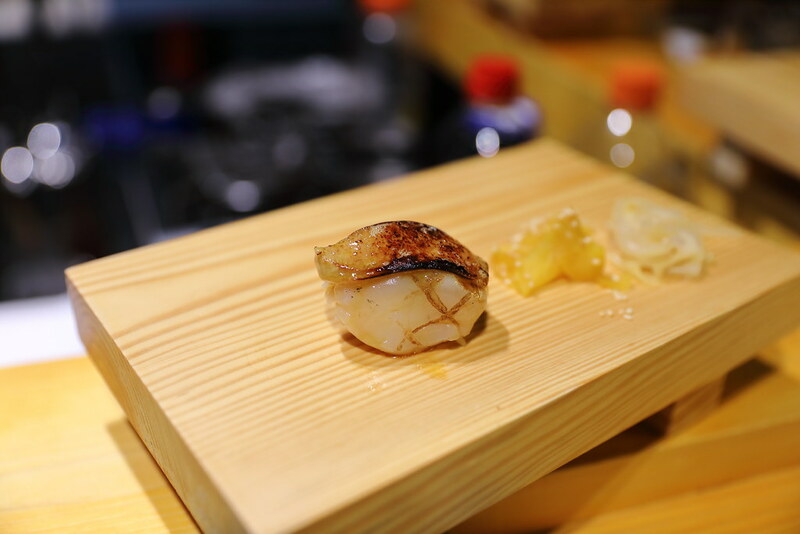 My favourite is the scallop with foie gras sushi. I never know that the 2 ingredients can work so heavenly together. 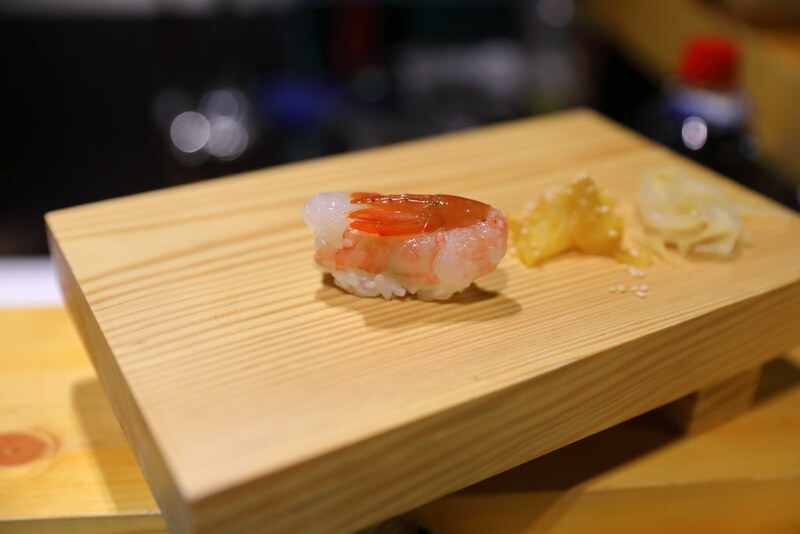 After having the assortment of sushi and you are still not full, don't worry as the next course is Termaki Roll. 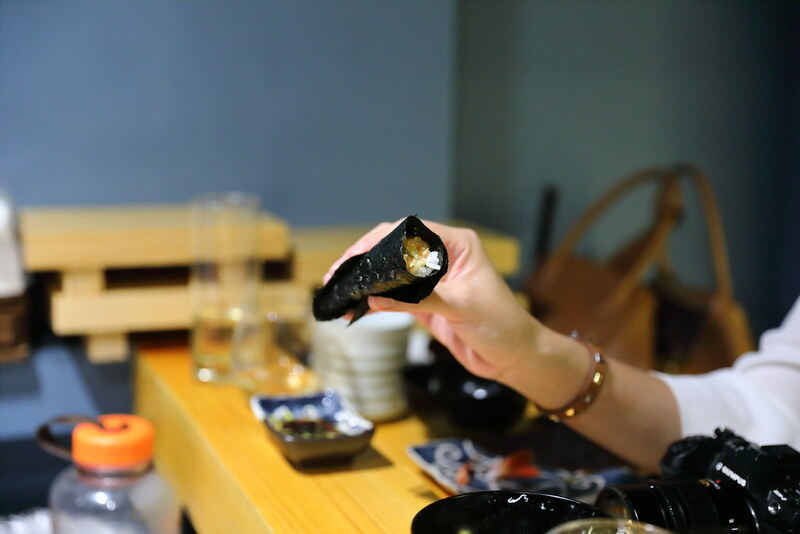 If you think omakase will leave you hungry after the meal, you will be wrong as I was feeling like a pregnant lady after finishing the hand roll. Our second last course is a bowl of hearty and comforting Miso Soup. 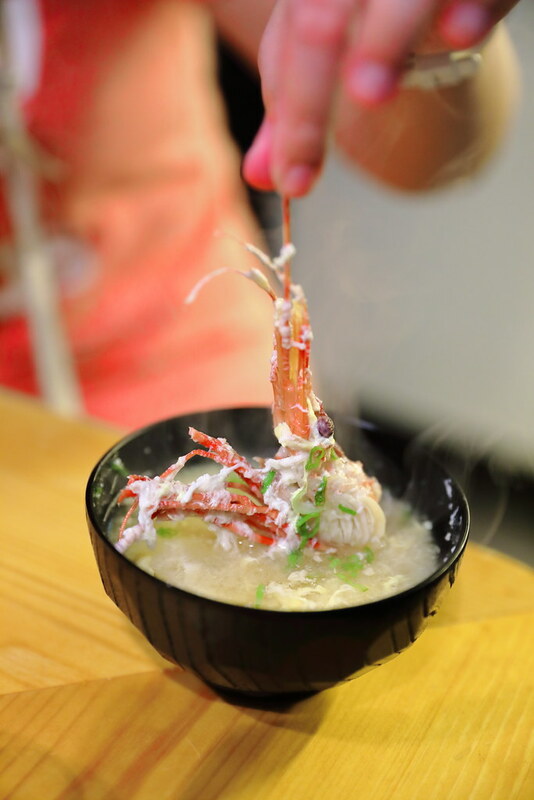 Boiled with the botan ebi shells and with the addition of egg flower, this is unlike the usual miso soup we get at Japanese soup. This is so good that I asked for a 2nd serving. 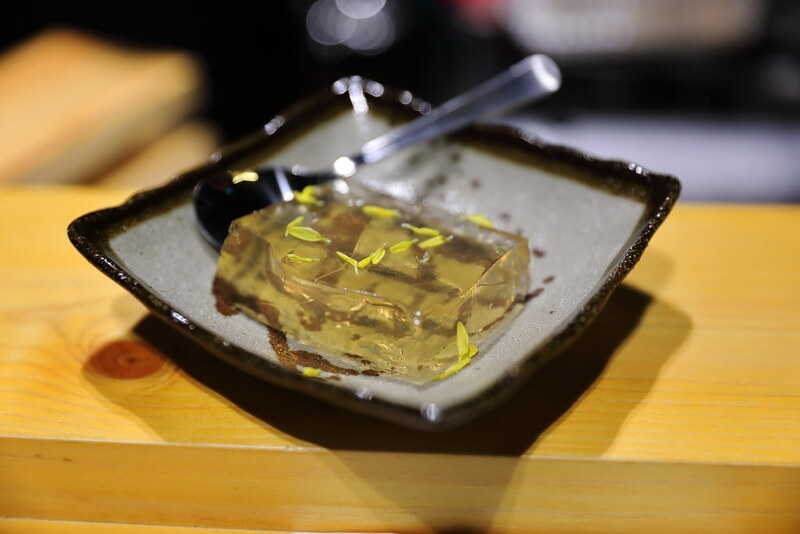 Our dessert for the day is Umeshu Jelly. I thought it was a good change from the usual ice cream, fruits and mochi. 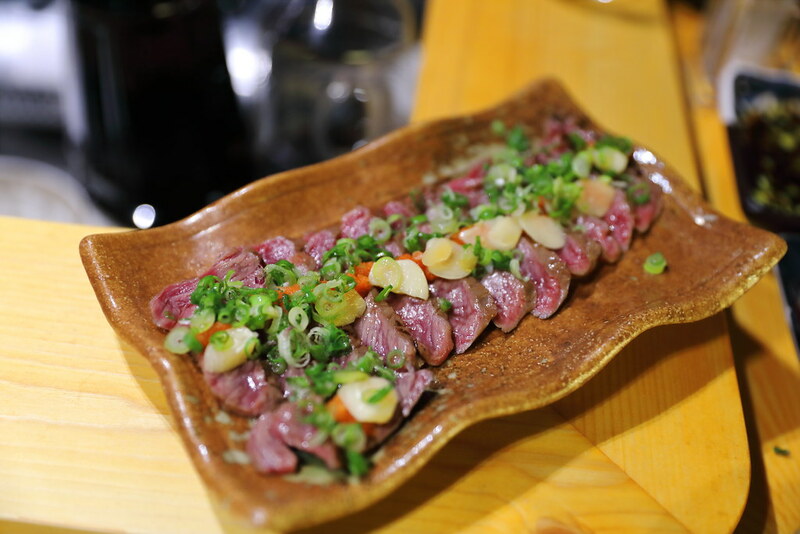 After finishing our omakase set meal, we decided to order the Beef Tataki from the ala carte menu. 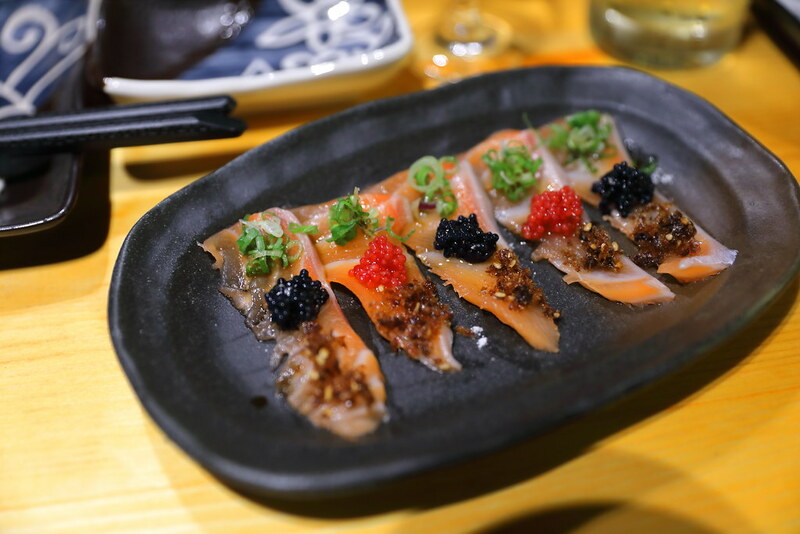 During the course of dinner, I noticed many diners ordered the dish so I was curious to try it. On top of that, it is perfect to go with our bottle of whisky as the night is still young. 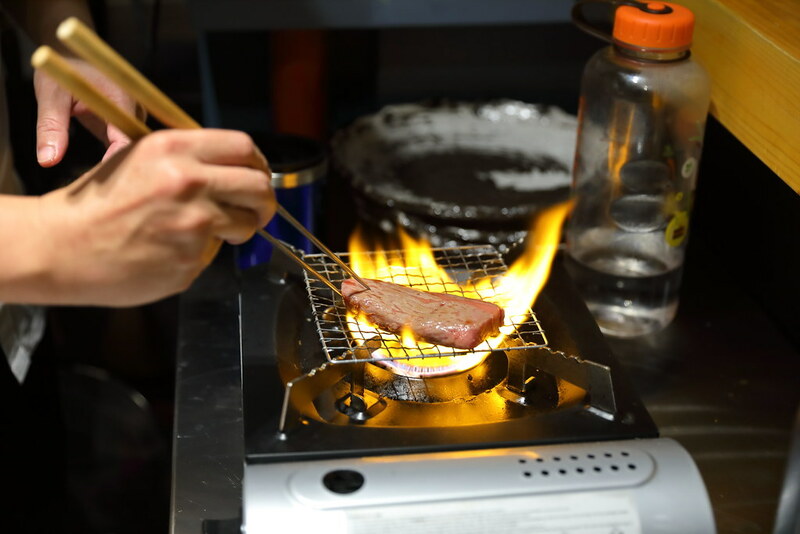 I can't say you will get the best of Japanese food here but you will be ensure to get the best from the best ingredients that are imported in small batch to cater only for the diners on that day. On top of that the friendly and cosy place atmosphere made up the merit. 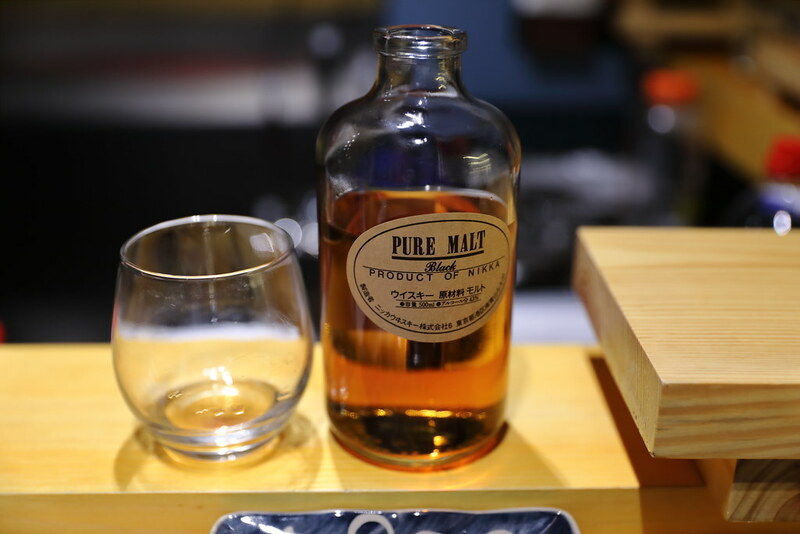 I have been to whisky place that pairs yakitori with the drink but I realized the flow of omakase is more suitable for the appreciation of whisky.